Become a Partner of OrganizedPhotos.com and earn 60% Commission! If you have a blog, website, e-mail list, or are on any sort of social network, get ready to start making money! If you refer others to this product and they make a purchase, you will receive 60% of the sale on all orders that you have referred. It’s EASY. It’s FREE, and it’s the ultimate WIN/WIN situation. 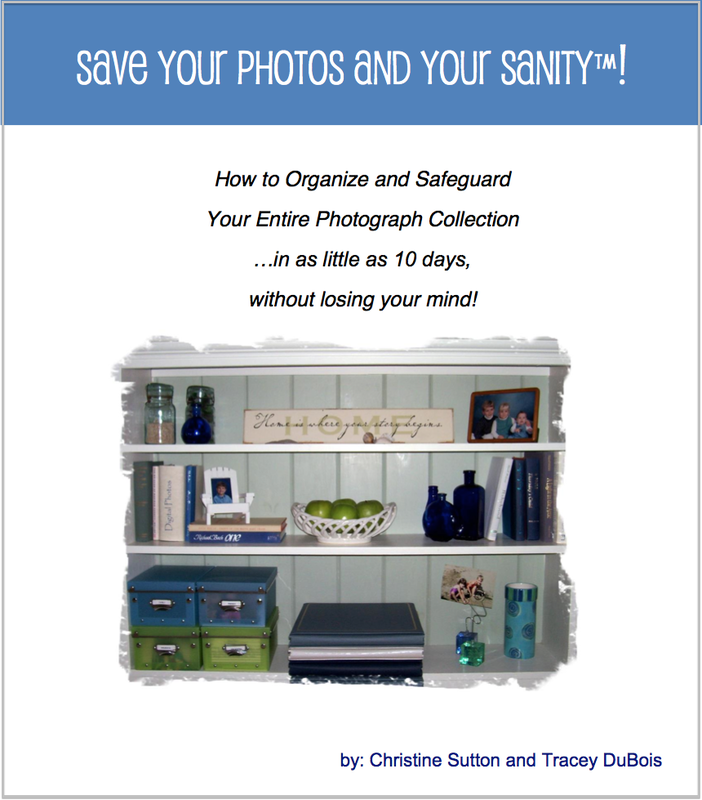 "Save Your Photos AND Your Sanity" is more than a book, it's a step-by-step course that helps people organize and safeguard their photographs in as little as ten days! 1. Open an account with Clickbank. ClickBank.com is our Affiliate Program processor and is the Internet's largest digital marketplace. You'll appreciate their fast & accurate tracking system and dependable payment services. 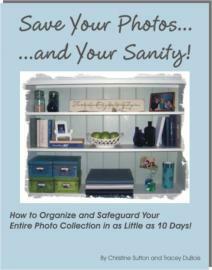 Setup is free, fast and you'll have instant access to begin promoting "Save Your Photos and Your Sanity™! Clickbank has immediate acceptance of new affiliates: CLICK HERE to sign up for FREE with Clickbank. Search for our company which is PHOTOHELP. When you sign up with Clickbank, you’ll create an affiliate ID. To ensure that you receive your commissions, simply replace the word “AFFILIATE” in the address below with your unique ID and then refer people to that address. Of course, you can increase your earning potential a great deal if you’d like to take a couple more simple steps. Use the PROMOTIONAL copy below or create your own! And, if you have any questions at all, please feel free to contact us at info@organizedphotos.com to help you get set up. I can't believe it .. I have started on the collection after procrastinating for such a long, long time. myself' that, I simply had lost your e-book. anything new until you have effectively dealt with the photos .. I am telling you, do you want to learn the harp, return to Spanish lessons and study next year at community college? The answer of course was yes. Well, you can only do those things once the family photo collection is sorted"
my iPad and printed out the pages as well. Instead of other distractions, I started reading it again, really reading it ..
Due to the friendly, non judgemental tone I felt supported in this overwhelming task. I identified core issues that were affecting my failure to address my photo mess: perfectionism, feeling overwhelmed and not knowing where to start. I thought that just because my sister has perfect scrapbooks, I had to too but I can't .. I have too many photos to think of scrapbooking at this stage. For me it is all about safety and accessibility. incentive to "tidy it" [who wants a messy bedroom, right?]. I have started .. Three solid hours already and I feel this black cloud is lifting and that soon I can return to my extra curricular activities [this is my reward for finally organising my photo mess, for dealing with this overwhelming task].